The City of Vandalia is seeking a tree donation for its annual Christmas Tree. 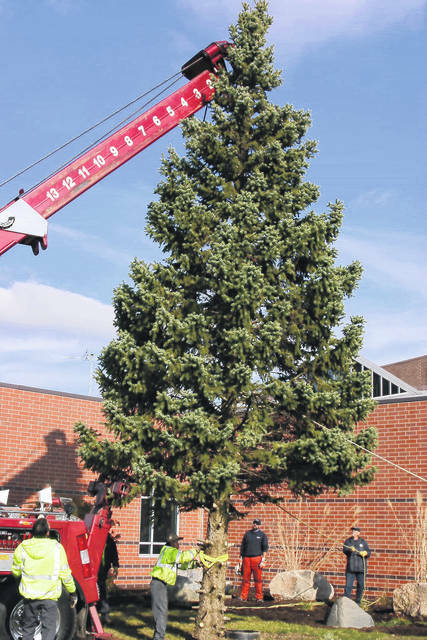 VANDALIA — The centerpiece for the City of Vandalia’s Annual Tree Lighting ceremony may very well be in your back yard. Since 2008, the City has rung in every holiday season with a tree lighting ceremony at the Vandalia Sports Complex. This year the tree is scheduled to be unveiled to the community on December 3, at 6 p.m. to kick off the holiday season. Before the tree can be decorated, however, a suitable tree for the event must be located. Wells said the City will remove the donated tree free of charge. If you have a Spruce that you are willing to donate, please call Rudy Wells, 415-2345.